This past weekend marked the 2016 debut for Rootstock Racing‘s Adventure Racing team. While we technically raced for the first time at the USARA National Championship last October, this was the first Adventure Race of our first full season, and it felt great to get out in the woods. We all remarked on the fact that we have never waited until June to compete in the season’s first adventure race, and we therefor weren’t surprised that we had some kinks to work out. 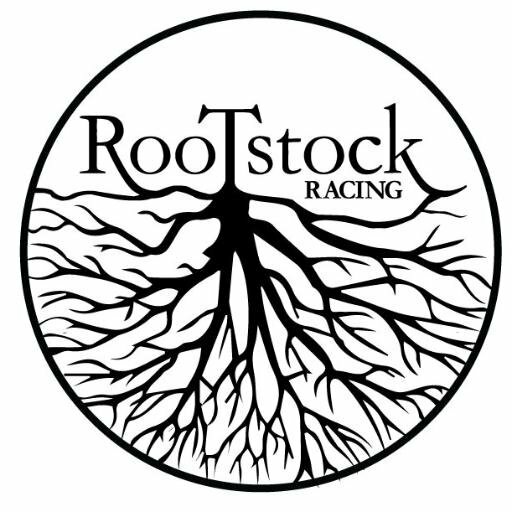 Rootstock Racing is a new race promotion company in the Mid-Atlantic, and the core of our team has been racing for decades for various teams, though primarily for Adventure Pocono, GOALS ARA, and NYARA. In Kentucky last October, Abby, Brian and I made our debut and finished 8th overall in a strong field at USARA Nationals, and our teammate Jim raced with a strong GOALS ARA squad to an amazing 2nd place finish. We didn’t really consider this our official unveiling, but it was a great end to the 2015 season and a promising beginning to the next phase of our adventure racing careers. While we didn’t get any early season adventure races in this season, we did compete in two long rogaining events. Abby and I teamed up with John Courain and ran ourselves into the ground to take 4th at CNYO’s Snowgaine in March, and then Abby, Jim and I won the 24 hour Get Stoked Rogaine at the end of April. I’ve come to love rogaines, but nothing is quite like Adventure Racing, and we were excited to finally toe the line this past weekend at GOALS ARA‘s 12 hour Cradle of Liberty. There was a fine field of racers with two strong Rev3 teams, two more from GOALS, local speed-demons Lamprey Systems, and the New-to-East-Coast-Racing Strong Machine among others. We knew we would have our work cut out for us, and indeed, teams were jockeying back and forth all day long in the humid summer haze. The race started off well and we took an early lead. After the long paddle on the Lehigh River, the race blew up with teams scattering in a dozen different directions. We settled into our own race and set off from the river for a terrific section: a series of six checkpoints scattered on a pocket of islands. We biked to the islands, swam back and forth as we retrieved the controls, and ended by carrying our bikes across the river. On the far shore, we secured our PFDs and other kit and commenced the rest of the race. Technically, there were five sections left, but for the most part they all blended together into a big biking rogaine. We dropped our bikes here and there, hiked-a-bike a bit, bikewhacked when we needed some additional adventure, and generally speaking made steady progress through the course. W3 when I decided to misread the contour lines, leading us higher than the control into a maze of thorns and brambles that ensnared us for what seemed to be an eternity. At this point, we were on the heels of one of the Rev3 teams for the lead, and an hour later we found ourselves surrounded by teams at W3. I was convinced we had blown not only a chance at the win but several more places at least. And it was steady if you ignore the countless minutes we seemed to lose with uncharacteristic miscommunications: “Come this way!” I’d shout. And then I’d wait. And wait. And wait some more. “We heard you say ‘STAY'” Abby and Tamela would say several minutes later as we reconvened. Or the times when I would look back and see them right behind me only to somehow lose them on a turn a moment later. In almost 100 races, I have never had such communication problems in a race before. Steady if you ignore the lost time from our literal reading of rules that I guess were not meant to be read literally and more lost time from various other frustrating navigation blunders. With less than an hour left, we realized we would have to give up on clearing the course. We modified our final route and picked off what we could, unsure that we would even make it to the finish line in time. Somehow we managed, finishing with less than five minutes on the clock, and claiming second place overall despite the various issues. We estimate we easily lost two hours on this course with our various issues, but we were still happy with the results. It’s always good to work out the kinks earlier in the season, but these races happen, and thankfully we have another race or two before ITERA in August. As always, congratulations to our friends from Rev3 for another great race and the win, and likewise, congrats to Lamprey for taking third in a deep premier field. Brian and Derek from GOALS put together a really interesting race with some terrific riding, great use of swimming (hard to do in AR) and a really fun “Hide and Seek” section toward the end of the event. Hikegoo – We lathered up our feet before the race began and then raced with wet and gritty feet for almost twelve hours. Six feet, no blisters. That’s a victory in itself! Kanpas – I tested out their newest elite competition compass, and wow was it great and amazing at tracking. Too bad I forgot how to use it! SOURCE Hydration – We made good use of the Source/SAWYER mini filter combo. We probably should have consumed another 50 liters of water considering the heat and humidity, but quick fills and drinking cool water without chemicals was a joyful reprieve from the sweltering weather. Thorlo – Our longest sponsor, their socks deserve credit for our blister-free and comfortable feet as well. Seriously, after ten years in Thorlo socks, I never have problems…as long as I wear Thorlos. And finally, a special shout-out to Champ Systems. We were in our full kit for the first time, me in my bike jersey and Edge bike shorts, Abby and Tamela in the Apex run shirt and lycra bottoms. They were comfortable and sharp and we somehow managed to escape the race without any chafing. I can’t remember the last time I could write that!